The next time you’re in Vegas, instead of diving immediately into the all-you-can-eat buffet, go for something a little more unexpected, like Zarkana™, the newest acrobatic spectacular from Cirque du Soleil® that’s so unexpected, it doesn’t even exist within this dimension. 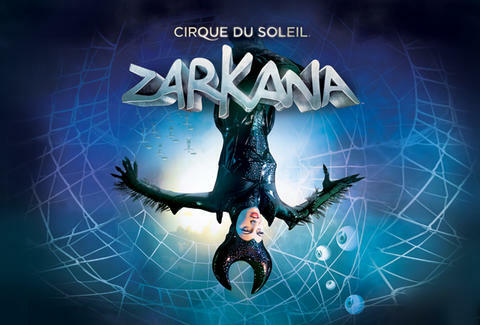 Now open at ARIA Resort & Casino, Zarkana lends an enrapturing, otherworldly aura to the classic hero’s journey, one where a young ringmaster, Zark, must navigate a world of knavish characters to regain his magic powers. His is a tale of “one of those days” where everything seems really complicated, with the added bonus of high-flying spider women, people throwing each other around with incredible grace and athleticism, and this wonderful contraption known affectionately as “The Wheel of Death.” Yes, that’s right: The Wheel of Death. Basically, it’s a 90-minute adrenaline rush that’ll leave you with a newfound respect for people who can make twisting your body from ridiculous heights look way easier than it actually is.